Alright so here We have some early fan art from The Nut Job that I did last year, and I thought it would be cool to color it. 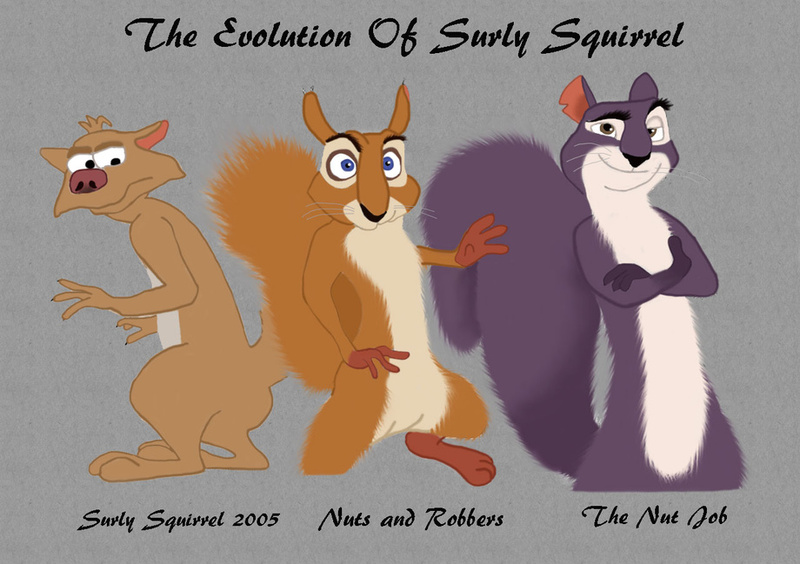 So here We have all 3 designs for Surly Squirrel, here are the videos. I know you have seen this before though lol. Headcanon that's what his father and grandfather look like. I still would like to sketch up something with His second design. Who knows Zib, who knows ^^ I still would like to sketch up something with His second design. That guy was far more likable if'n you ask me. That there was a squirrel who was a true friend and ready to help those in need. Well yes, soy uo sleep with the third one, but dammit the second one has some cool stories and will lend a paw in times of need.